DECATUR, Ga.—Newcomb Spring Corp., a manufacturer of custom springs, wire forms, and metal stampings, recently announced the appointment of Nathan Watson as general manager of its Thornton, Colorado plant, and Jason Bingham as general manager of its Ooltewah, Tennessee plant. Nathan Watson began his career at Newcomb Spring in 2012 as a CNC set up technician and operator. He was later promoted to shipping and receiving supervisor and, most recently, to plant production manager. Watson is a U.S. Army veteran and completed three Middle East tours. During his nearly eight years of service, he was a student in Troy University’s distance learning program. After being honorably discharged in 2009, he continued his education at the University of Denver, earning a degree in molecular biology. Jason Bingham began his career at Newcomb Spring in 2000 as a quality technician. He “has consistently demonstrated excellence in all he does,” the company said in a press release. He was promoted a year later to quality manager, and then to his most recent position as operations manager in 2008. Bingham is a native of Ooltewah, Tennessee. He earned his bachelor’s degree in engineering from Virginia Tech while working full-time and raising a family. The appointments follow the retirements of Bob Herman and Keith Porter, Sr., after decades of service as general managers of the Colorado and Tennessee plants, respectively. Newcomb Spring Corp. (www.newcombspring.com) is a worldwide supplier of compression springs, extension springs, torsion springs, wire forms, stampings, rings, hooks, and battery contact springs. 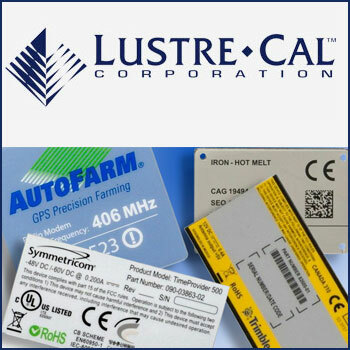 The company’s products are used in a variety of industries, including aerospace, agricultural, automotive, computer, medical, military, and telecommunications.